This is one of the more expensive models in its class, not that you can tell. Armed with a single HDMI input, Sony's addition to its burgeoning Bravia range of LCD TVs is Scrooge-like in its provisions. Bigger sets in its S-series have recently enjoyed impressive upgrades, which have included a second HDMI input and even a clever backlight, which adjusts the brightness of the panel according to what's showing on-screen and what the ambient light levels are in a room. If that means you can generally buy Bravia with confidence, this 26in fellow is sadly the exception. 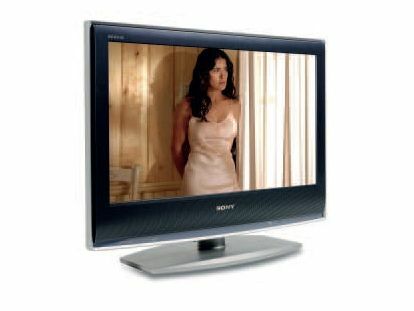 Sony has plumped for a grey and silver chassis over the more de rigueur gloss black of most other sets though an otherwise identical black version is available and sold as the KDL-26S2030. Looks aside, the KDL-26S2010 builds in enough sockets to get us over the HDMI deprival, though a digital tuner won't get hi-def fans that excited. It should do. Watching pictures from Freeview is the first sign that all images are impeccably presented. Free from annoying picture noise or grain, it makes best use of its advanced circuitry. That includes Bravia Engine image processing, which successfully boosts colour and detail while reducing the effect of image lag and blur associated with LCD technology. But it's the MPEG noise reduction that impressed us the most. Switching to SkyHD and Hot Fuzz, the pristine image continues and sparkling colours are a nice bonus, especially since subtle gradations and skin tones are also handled well. There's also plenty of depth, that's helped along by good black levels that give dark picture areas oodles of detail.